What is genesis? In short genesis is a framework that runs your website in the wordpress web publishing system. Think of your site is a car. Now every car needs an engine powered to make it run and when you use wordpress the engine for you website is the wordpress core. It’s a stuff you don’t often see but that makes everything’s work. But a car is a worth much but only has an engine. You want your car to perform certain functions and look good in the process. The body of the car and all its components hook into the engine they make a complete package. In wordpress you use a theme to hook into the wordpress core and like the car’s body the theme’s job is to give everything a solid layout and everything look nice. Now just like all cars are not created equal not all wordpress themes are created equal. Some cars has tinted windows some themes let you change colors, some cars has turbo chargers some themes let you create custom content, some cars even have spoilers twonyo and trims some themes responsive in there layout and have slick sliders. But what if you want a super car. What if you want the spoilers the twonyo and trims, turbo chargers, satellite radio and a new paint job. What if you want one theme that has secure code, properly coded, search engine optimization (SEO), load faster than other wordpress themes and the ability to change your entire design do slideshows and everything else and not only that; what if want the ability to selectively turn these features on and off. You need some kinda super theme right? and that’s why the genesis framework for wordpress steps in. The super theme often referred to a wordpress theme frameworks because they provide a frameworks or solid foundation for your site. The genesis framework is intended to give you secure solid starting point for your website which you can add on a customize. The most important things you need is to built a great car have been built for you. You now get to customize everything about that car. You get to choose how it looks how it functions and one of the great things about genesis framework is; if you’re a developer with lots of experience you can build you car or site with completely customize packs and if you don’t have a lot of experience building websites just like most of us don’t have a lot of experience building cars you can choose from number of custom paid jobs or designs to put on the engine body of your websites. In wordpress world we called this child themes. So What are Genesis Framework Child Themes? Child themes are pre fabricated designs that fit into a solid framework. They give you the ability to change the look and layout of your site without loosing the secure foundation its built on with the content which it created and they specifically crafted over 40+ unique child themes that singlesly integrated with genesis framework. So what is genesis framework? Its much more thane a wordpress theme. Its a foundation that you raises the headache security concerns and updates. Its a framework of a macular code that spoon-fed your content to search engine. 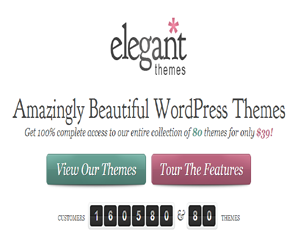 Its a foundry that let you craft your web site with their 40+ child themes. Its the industry standard wordpress website framework supported fanatically by the best developers of the world. 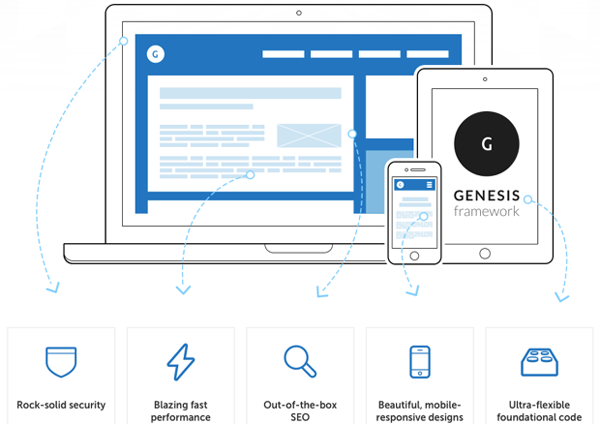 Head over to studiopress.com today and start building a better website with the genesis framework for wordpress.